This guide takes you through the stages of palladium plating a watch casing. Because of its resemblance to platinum and rhodium, palladium is becoming an increasingly popular choice. It is widely used in the jewellery trade to plate items made of white gold which can, over time and with wear, take on an almost yellowish tint. An added advantage of palladium is that it is quite hard wearing, making it a suitable choice for pieces of jewellery such as rings and, in this case, a watch surround. 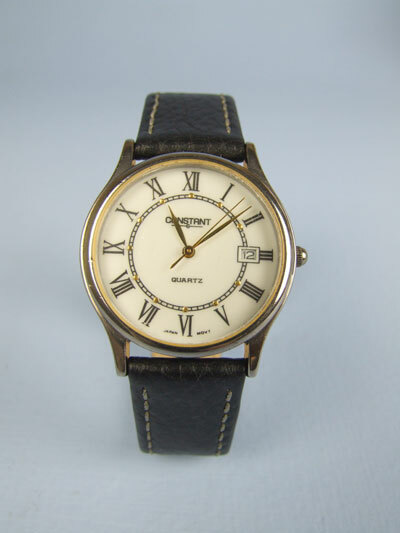 Unless you are experienced in taking apart a wide range of different makes of watches, we highly recommend you take the watch to a professional jewellers to be both disassembled and re-assembled. Once the watch is in it’s constituent parts, polish the front casing on the buffing machine, use a pendant drill to polish the crown (taking care not to polish down the ribbing) and remove any scratches in the crystal with our MPU and kitchen tissue. The spring bars should also be cleaned, as these will need to be plated also. 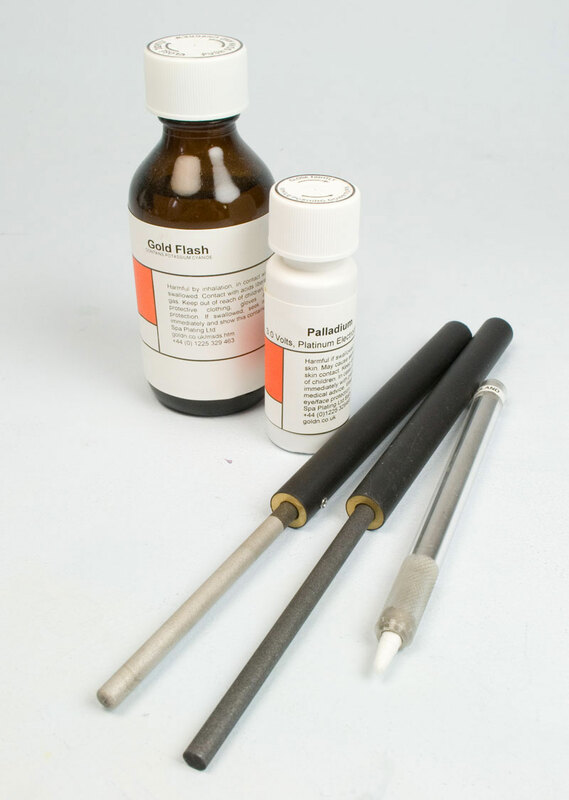 Solutions; Gold Flash, Palladium Equipment; Platinum Electrode for the Gold Flash, Carbon Electrode for the palladium, 2 x Electrode Handles. 2 x Beakers, Plating Pen, Nibs. 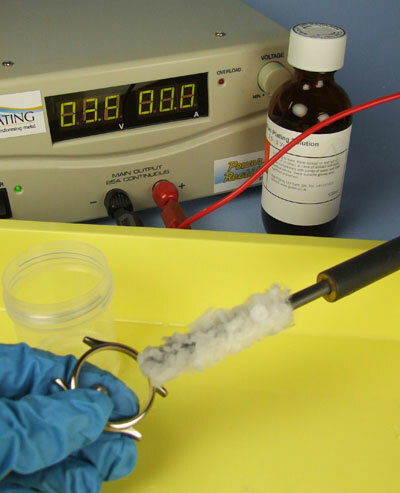 To plate a thin layer of gold using our Gold Flash solution, fix a Platinum Electrode in to your Electrode Handle before you start and plate at 8-10 volts. 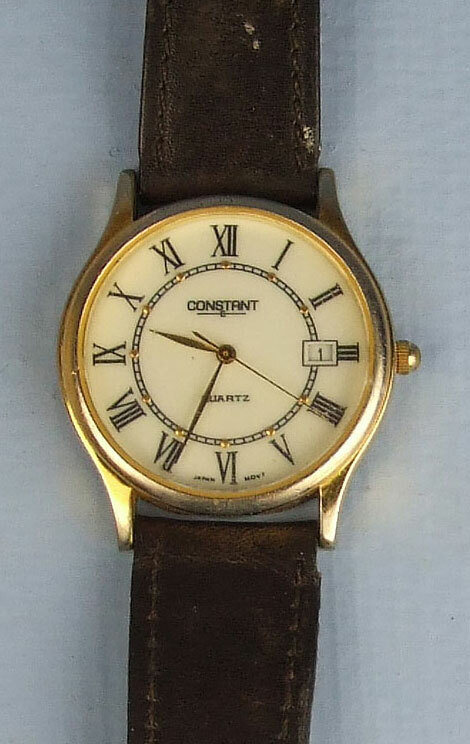 Remember to gold plate all of the smaller watch parts as well, including the crown and the spring bars. Once plated, rinse in deionised water. Using either a Platinum or a Carbon Electrode fitted in your Electrode Handle, plate a layer of palladium at 3 – 3.5 volts. To work out how much solution you’ll need for your job, please see our Plating Calculator which you can find on the right hand side of any of our product pages or on the main menu at the top of our website. 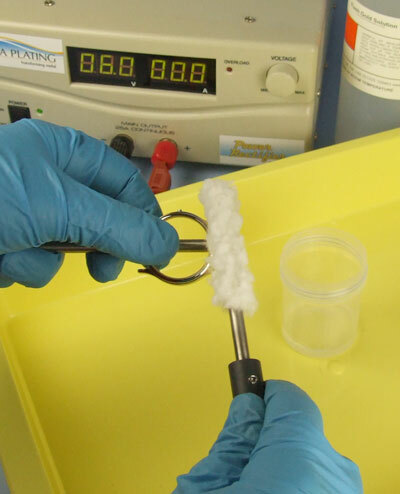 Keep plating for five minutes, replenishing the swab by regularly dipping it in the palladium solution. Once plated, rinse in deionised water. Don’t forget to also plate the crown and the spring bars. 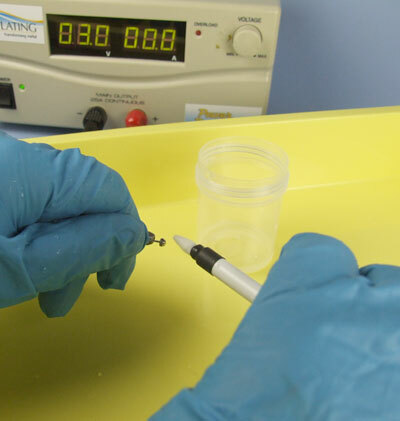 A Plating Pen is ideal for this part of the job. For voltages for this, please click HERE for our Palladium Pen Plating Solution and click on the section of the tabbed panel marked ‘Tec Specs’. Rinse in deionised water. 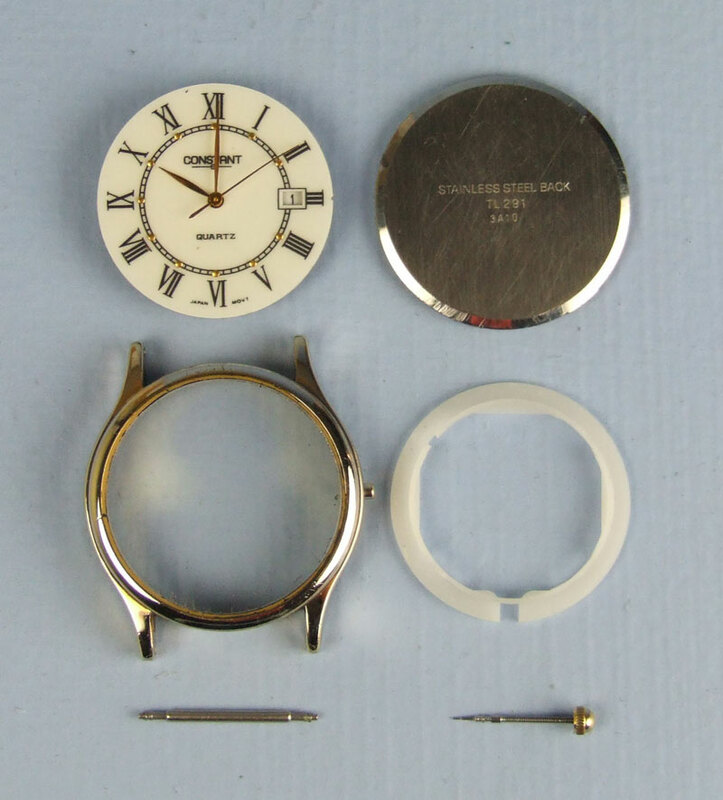 Once the front casing and the crown have been plated, they can be finished with MPU Fine and all of the parts of the watch can be taken back to the jewellers to be reassembled and a new watch strap fitted.